This new 2019 Polaris 600 INDY XC 129 1 25 Ripsaw II Snowmobile for sale has 452 miles. The color is RED. It is offered for sale by Fuel Powersports and located in West Bend, WI. The listing # is 69078. For more information call (262) 338-3684 . For the fastest response send an email via the form above. SPECIAL ORDER ONLY SLED! E-START, STD GAUGE, AND STD RISER! COMES WITH A 1.25 INCH RIP SAW TRACK! NEW DEMO COMES WITH FULL WARRANTY. TRACK IS STUDDED. The ALL-NEW 600 INDY XC 129 brings high performance trail riders ultimate handling and trail versatility along with a premium shock package. The AXYS chassis provides Rider Balanced performance for control, precision, and the highest fun factor. The ALL-NEW PRO-CC Rear Suspension is the next generation rear suspension from Polaris. It produces the industry's best acceleration, handling, and a consistently smooth ride. The rear skid's coupled design controls pitch through geometry without reducing the fun factor. The front torque arm is calibrated for trail compliance without bottoming. The rear torque arm features a torque link and has an optimized position for Rider Balanced Control. Walker Evans Shocks are race-tested and race-proven, and have improved clicker accessibility for easiest adjustability. The front suspension shocks are Piggyback Needle shocks. The front track shock is a Piggyback shock with a 2�-diameter for durability and an improved ride, and a performance-enhancing softer spring. The rear track shock is a Velocity Needle shock that features improved oil flow to reduce harshness at top end of the clicker. Ride solo or 2-up with the optional CT2 accessory passenger seat that installs easily and requires no suspension adjustments to maintain outstanding ride and handling . A heated passenger seat and passenger grips are also available as an accessory and connects to the sled's wiring harness for power. Polaris offers the lightest weight 129� sleds on the market and with the all new PRO-CC rear suspension and AXYS chassis, this family of sleds features industry-leading acceleration. The 600 Cleanfire engine is part of the Polaris family of Liberty engines built in the USA. This engine is a 600cc, liquid-cooled, SDI engine that provides proven reliable performance, instant acceleration, easy starting and great response. Various track options are available for the INDY 129's that let a rider customize the sled to suit their personal riding style. 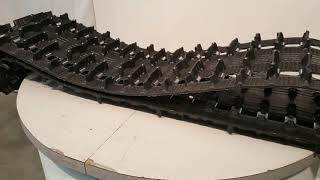 Track options include: Camso Storm 150 1.5� track for aggressive performance both on and off trail; Cobra 1.35� track for superior traction and control on soft, loose and unpacked snow; and Ripsaw II 1.25� track for ultimate traction on both hard-pack and loose snow. The average price of a 2019 Snowmobile for sale is $11679.25. This model is priced $1192.25 less. The average price of a 2019 Polaris Snowmobile for sale is $13838.30. This model is priced $3351.30 less. The average 2019 Polaris Snowmobile for sale has 46 miles. This model has 406 more miles. There are 557 Polaris Snowmobiles for sale within 150 miles of West Bend, WI. If you looked at the average 2018 Polaris Snowmobile for sale it would cost $927.89 less. If you looked at the average 2020 Polaris Snowmobile for sale it would cost $736.33 less. The average price of a 2019 Polaris 600 INDY XC 129 1 25 Ripsaw II Snowmobile for sale is $10901.83. This model is priced $414.83 less. The average 2019 Polaris 600 INDY XC 129 1 25 Ripsaw II Snowmobile for sale has 151 miles. This model has 301 more miles. There are 5 Polaris 600 INDY XC 129 1 25 Ripsaw II Snowmobiles for sale within 150 miles of West Bend, WI. 1. 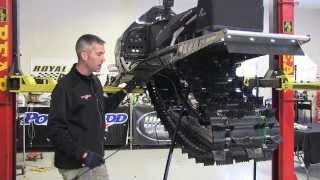 Remove your snowmobile sliders easily! PowerModz!